When Apple unveiled its new Fusion Drive in October, the announcement left more questions than answers. With precious few details on offer, it seemed as if Apple were merely applying a bit of marketing glitz to the not-very-new hybrid drive market. Apple answered some questions with its Fusion Drive FAQ, but many remain. Is a Fusion Drive simply a hybrid drive? Is it a RAID setup? Is it one drive or two? Macworld Lab received a Fusion Drive with a build-to-order Mac mini. We’ve had a chance to experiment with it, and now we can answer many of these burning questions. Teardown: The Fusion Drive removed from a Mac mini. The SSD is the black box on top of the hard drive. Hybrid drive and Fusion Drive: What’s the difference? In a typical hybrid drive like the Seagate Momentus XT, fast flash memory speeds up performance while a standard 7200-rpm platter-based drive holds the data. (The 1TB Momentus XT has 8GB of NAND flash.) A hybrid drive looks and acts like a regular single hard drive. A Fusion Drive consists of two separate drives—one hard drive and one solid-state drive—that are “fused” together. Apple uses software to create a single volume out of the two drives, but the result is not a RAID array. The user, and the applications on the Mac, see the Fusion Drive as a single drive. What is the purpose of a Fusion Drive? 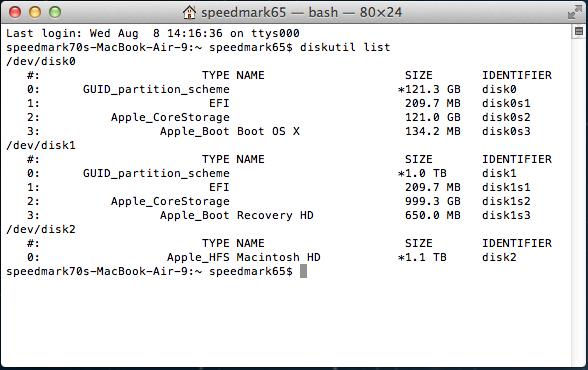 About This Mac: OS X 10.8.2 displays the Fusion Drive as 'Hard Drive + Flash Storage'. Many people who want both speed and capacity already use a combination of solid-state drives and hard-disk drives. But usually these drives are two separate volumes, and trying to figure out where you should put your files and apps can be complicated. Fusion Drive technology takes care of the housekeeping for you, letting you spend more time working and less time organizing. 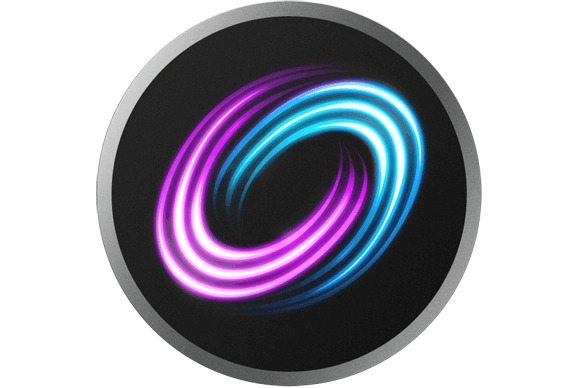 What does a Fusion Drive do? When you purchase a Mac with an optional Fusion Drive (currently, a Fusion Drive is a $250 upgrade to the $799 Mac mini), the OS and all of the applications that ship with a new Mac are loaded onto the flash portion of the Fusion Drive. Again, the user can’t tell that there are two drives, or where a particular file or application is stored, and 128GB (the size of the SSD in the Mac mini's Fusion Drive) is plenty of room for the OS and programs. The software that controls the Fusion Drive looks for data that you frequently use. If you access certain documents a couple of times, the software could identify those files as something to keep on the SSD. The Fusion Drive knows the difference between user access and system access to files; and when it decides on what to move to the SSD, the Fusion Drive watches for files that the user is accessing. For example, the Fusion Drive will not move files that Time Machine has touched. The Fusion Drive fills up the SSD; later on, data that you haven’t used in a while moves to the hard drive when the computer is idle. A portion of the SSD—at least 4GB—is set aside so that all data writes to the SSD first while you are working, unless you move more than 4GB at a time. How does a Fusion Drive move data? A Fusion Drive moves data in blocks, not file by file. It’s possible that pieces of a file could reside on both disks. The Fusion Drive doesn’t cache copies of files onto the SSD portion; it moves the data that needs the fastest access directly to the flash section. Fusion Drive technology isn’t magic, though. If you fill up the SSD, the process of copying very large files will at some point slow down sharply, matching the relatively poky speed of a standard spinning-platter hard drive. For what most of us do most of the time, however, a Fusion Drive works great. It performs like a regular SSD—in other words, fast. A high-end, 2.3GHz quad-core Core i7 Mac mini with Fusion Drive and 4GB of RAM was more than three times as fast in our file copy and unzip tests as the same Mac mini with a standard 1TB 5400-rpm drive. The standard drive took nearly twice as long to import 500 pictures into iPhoto, while the Fusion Drive was 30 percent faster than the standard drive in our Photoshop and Aperture tests. Can I build my own Fusion Drive? When we opened the Mac mini with Fusion Drive, we tried to tinker with all sorts of things. Getting to the RAM is very easy: You simply turn the round rubber base on the bottom a half inch clockwise to take it off and expose the two RAM slots. The situation gets trickier the deeper you go inside the Mac mini, however, and getting to the second drive requires pulling just about everything out of the system. When we had the drives in hand, we found that we could connect one externally to another Mac running OS X 10.8.2. Disk Utility saw the drive but spelled its name out in ominous red letters, asking if we wanted to repair the drive. We clicked No. We then connected the second drive externally—and lo and behold, the Fusion Drive mounted, and we could copy files back and forth. 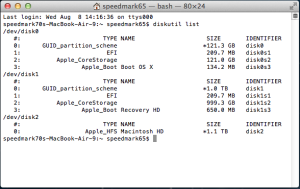 DIY: You can use the command-line tools for CoreStorage to build your own Fusion Drive. We were also able to create our own Fusion Drive using the CoreStorage tools found in the command-line verion of Disk Utility. Those tools also let you change the drives from CoreStorage volumes to standard drives. The HFS+ formatting lies on top of the CoreStorage layer. I don’t know why anyone would want to separate the drives from their Fusion Drive (a family of CoreStorage volume devices), but it can be done. The OS remembers that the drives were once fused together, so Disk Utility will see them as in need of repair until they are reformatted. Apple does a lot of testing, and carefully chooses the mechanisms for the Fusion Drive. When rolling your own Fusion Drive, you need to back up your data: As with a striped RAID 0 volume, if one drive goes south, all of your data is lost. You'll find no redundancy in a Fusion Drive. We continue to investigate the Fusion Drive, and we’ll post our findings. As always, we welcome your questions and test suggestions in the comments section below. Updated at 2:45 p.m. PT to correct the price of a Fusion Drive upgrade for the $799 Mac mini.